Hosea: A Portrait of God's Love, written by Terry Barnwell, is a small-group Bible study that focuses on the life of Hosea. It is part of the Character Sketches series and is now available as a digital download. WHAT WOULD YOU DO IF GOD ASKED YOU TO MARRY A PROSTITUTE? God did just this with Hosea. He wanted the Prophet to be a living illustration of Israel's unfaithfulness to God. They were loving and serving other gods. Hosea, despite great personal pain, obeyed God's command. 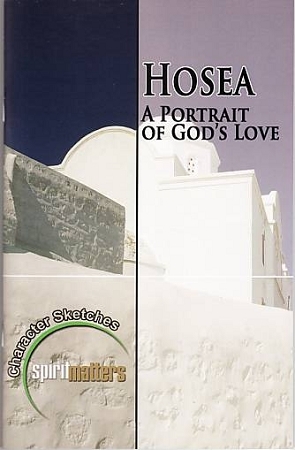 The life of Hosea and his wife Gomer paints a vivid portrait of God's love. And, in the end, reveals how much God loves each of us.